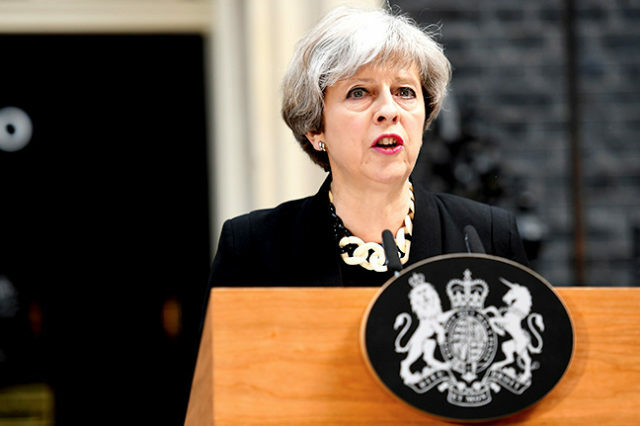 Theresa May has been the Prime Minister of the United Kingdom since July 2016. She became Prime Minister when David Cameron resigned in the wake of the UK voting to leave the European Union (Brexit). 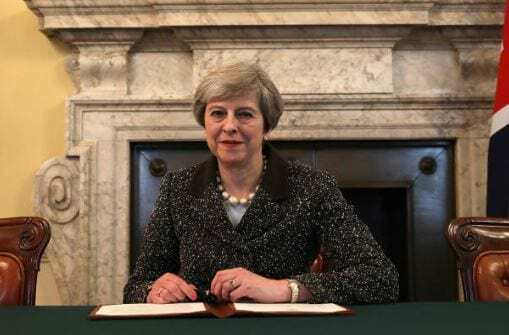 Who is Theresa May, how old is she, when is her birthday, how tall is she, what university did she attend, where was she born and what is her background? Theresa May was born Theresa May Brasier on October 1, 1956, she is 61 and 1.7 metres tall. The daughter of a vicar, May was born in Eastbourne on the south coast of England. She won a place at Holton Park Girls Grammar School before studying geography at St Hugh’s College, Oxford University. After university she worked at the Bank of England and then in the financial sector before embarking on a political career. Why is Theresa May famous and what is her occupation? Theresa May is the Prime Minister of the United Kingdom. What is Theresa May’s net worth? According to The Guardian, on becoming Prime Minister Theresa May put her assets in a blind trust. This was to avoid any conflict of interest, but it also means there is a lack of information about her wealth. Her husband Philip has worked in investment banking and pension fund management for decades, so it is safe to assume their combined wealth is significant. She has £2 million of assets outside this trust. How much does Theresa May earn? Theresa May is paid £150,402 for her work as Prime Minister. In addition, she is entitled to live at 10 Downing Street and use the Prime Minister’s country retreat in Buckinghamshire. How much does Theresa May weigh? She reportedly weighs 146 pounds or 66kg. What party is Theresa May from, is she Conservative, how and when did she become Prime Minister, what was she doing before she became Prime Minister? 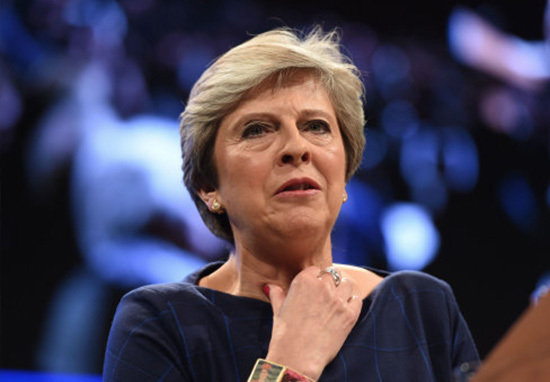 She is a Conservative and became Prime Minister in July 2016 when David Cameron resigned as prime Minister in the wake of the UK voting for Brexit. Prior to this she had been Home Secretary since 2010.
Who is Theresa May’s deputy Prime Minister, how long has she been Prime Minister for, why did she call for an election, will she step down? There is currently no deputy Prime Minister. Damien Green is the Secretary of State and deputises for the Prime Minister when required. Theresa May has been Prime Minister since July 2016. In April 2017 she called an early election in order to try and increase the Conservative majority in parliament. 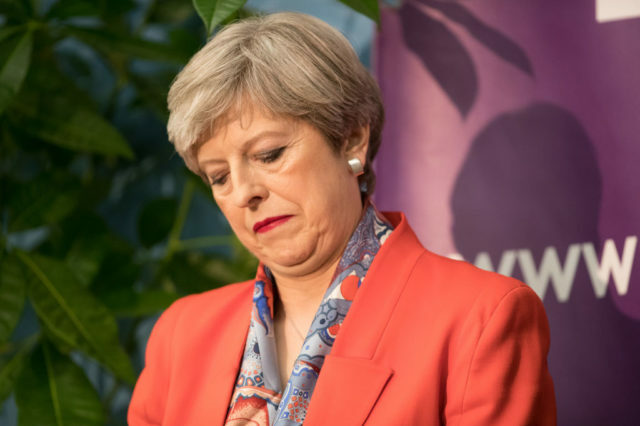 This backfired and the Conservatives were returned to power with fewer MPs and dependant on the Northern Ireland’s Democratic Unionist Party (DUP) for support. This has left her leadership weakened, though there is no clear candidate to succeed her as leader. What has Theresa May got to do with Brexit, what has she said about Brexit, did she vote and campaign for Brexit, why does Theresa May want a hard Brexit? Theresa May campaigned and voted against Brexit. 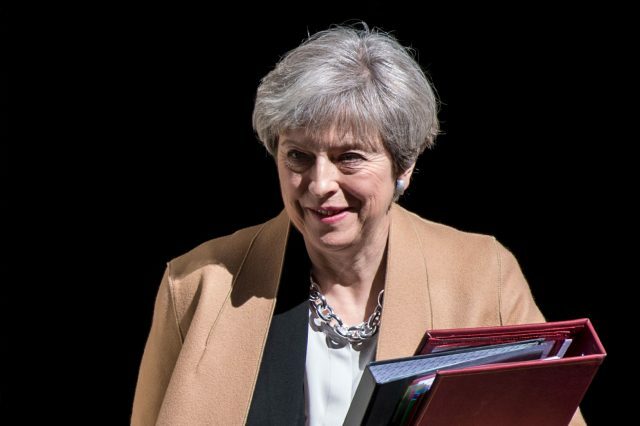 As Prime Minister she sought to unite the Conservative party and the country and appointed prominent Brexiteers such as Boris Johnson, David Davis and Liam Fox to cabinet positions to demonstrate that she supported Brexit. Theresa May feels she has a duty to recognise the Brexit vote. She has been under pressure to deliver a hard Brexit (a withdrawal from the single market and customs union or even a return to WTO terms) due to her weak leadership position. However, in December 2017 the supporters of hard Brexit were dealt a serious blow as parliament voted that parliament must have the final say over any Brexit deal. What languages does she speak? She does not speak any languages other than English, though she learned French at school. The politician lives at 10 Downing Street which is the official residence of the Prime Minister. As Prime Minister she also has the use of a country house called Chequers in Buckinghamshire. This is used as a weekend retreat as well as a venue to entertain visiting dignitaries. Is the Prime Minister married, who is she married to, what does he do, who has she dated? She married her husband Philip in 1980. He works for an investment bank. They met at a Conservative Party student disco at Oxford where they were introduced by former Pakistan Prime Minister Benazir Bhutto. Does Theresa May have kids, what are their names? She does not have any children. She and her husband Philip have spoken about their sadness at not being able to have children. Theresa and Philip May have two houses, a house in London and their main home in the village of Sonning in Maidenhead, her parliamentary constituency. George Clooney and Jimmy Page from Led Zeppelin also live in the village.